The snow fell, the wind dropped, the air stilled. 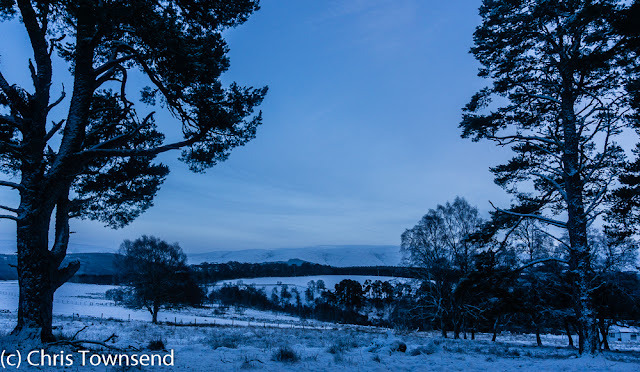 A frozen afternoon, the snow crisp underfoot. No sound other than my boots crunching through the whiteness. Pause and the absolute silence was vast and shocking. The world is rarely so quiet. Trees dark against the pale ground. Only a few had caught the snow from the wind. In the distance the hills, almost insubstantial, faded into the sky. The land felt empty. There were no birds in the sky. Nothing moved bar a few rabbits scurrying into their burrows. Fox tracks cut in a straight purposeful line across the fields and vanished into the trees. The sky was grey and flat, streaked with thin clouds. 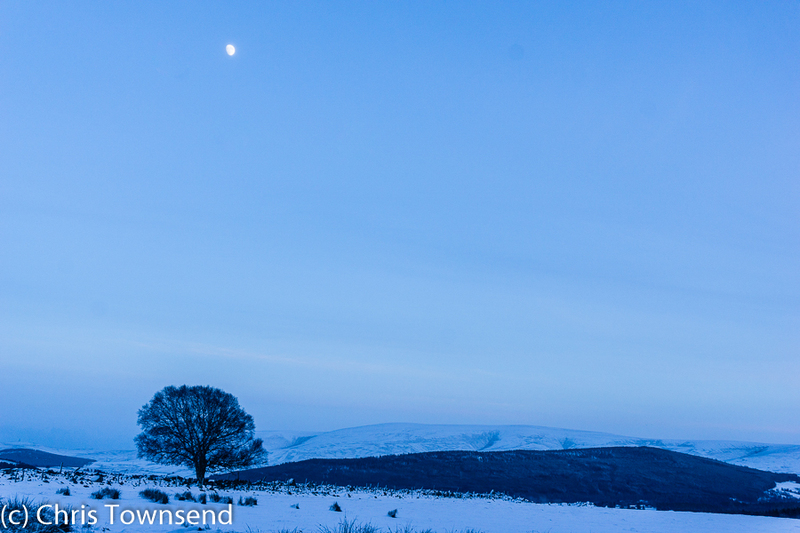 As I made my way back home as the day faded into night the light deepened into a cold blue. A waxing moon shone through the thin hazy clouds.